What does it mean to major in French? We train students to be global professionals with superior levels of French language skills. French majors study the language, linguistics, literature, history and culture of the Francophone world. They gain the cultural awareness and intellectual strategies necessary to successfully navigate the interconnected and multicultural world in which we live. Over 125 million people around the world speak French. It is the first or second language in more than 40 countries. Our students attain strong language competence in listening and reading comprehension, speaking, and writing skills as well as the cultural knowledge necessary for interacting with Francophones in professional or informal contexts. 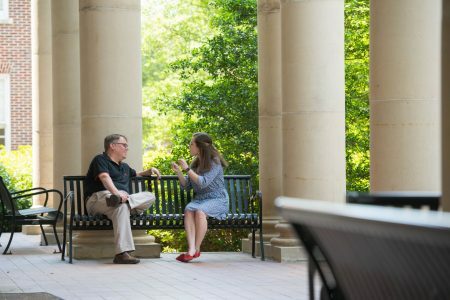 Why is the University of Mississippi a good place to study French? There are six faculty in French, with research interests in Medieval European literature, music and culture, manuscripts and material culture, 20th century French poetry and fiction, French cultural studies, literary theory, human-nature interactions in 17th and 18th century French literature, pastoral literature, and ecocritical and ecofeminist theory. The UM Department of Modern Languages maintains an active chapter of Pi Delta Phi, the national French Honor Society. It offers a number of funding opportunities to students who concentrate on foreign languages. The Language Resource Center (LRC) provides online and electronic materials for the study of foreign languages. Electronic materials are available for all the languages in the department.The Office of Study Abroad provides access to a wide range of study abroad programs. Students may choose from countries in every region of the world and may study a variety of topics. The Croft Institute Cine World Film Series, a free international film series, brings Academy Award nominees and other award winning foreign films to campus. 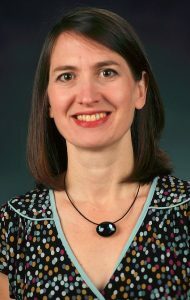 Dr. Anne Quinney, Professor of French, earned her Ph.D. from Duke University. Her research interests include 20th and 21st century French poetry and fiction, French cultural studies, literary theory, psychoanalysis, and film. Her current project is a book on Nobel Prize-winning author Albert Camus and his reception in the United States beginning with the first translations of his work in the 1950s. What can UM French majors do after graduation? A liberal arts education empowers and prepares students to deal with complexity and change through a broad knowledge of the world. They gain key skills in communication, problem-solving, and working with a diverse group of people. Related careers to French include education, international business & banking, tourism, journalism, law translation, foreign service, cultural affairs, military service, and health care. 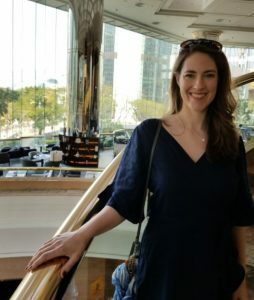 Christine studied abroad in Montpellier, France, and wrote a senior thesis on the topic of how many French were against further integration in the European Union in the early 90s. Christine’s path since graduation has included International Marketing Assistant for Pfizer European Marketing in Paris, France; Global Account Director TBWA\WorldHealth for TBWA International Communications in Paris, France; Strategic Business Development Manager for TRM-Oncology in Paris, France; Senior Director, Global Educational Services for prIME Oncology Medical Educational Services in The Hague, Netherlands. She is currently the Director of Medical Education Oncology/Hematology for WEBMD- London, UK. Whom should I contact to learn more about majoring in French?